Hi Willem! 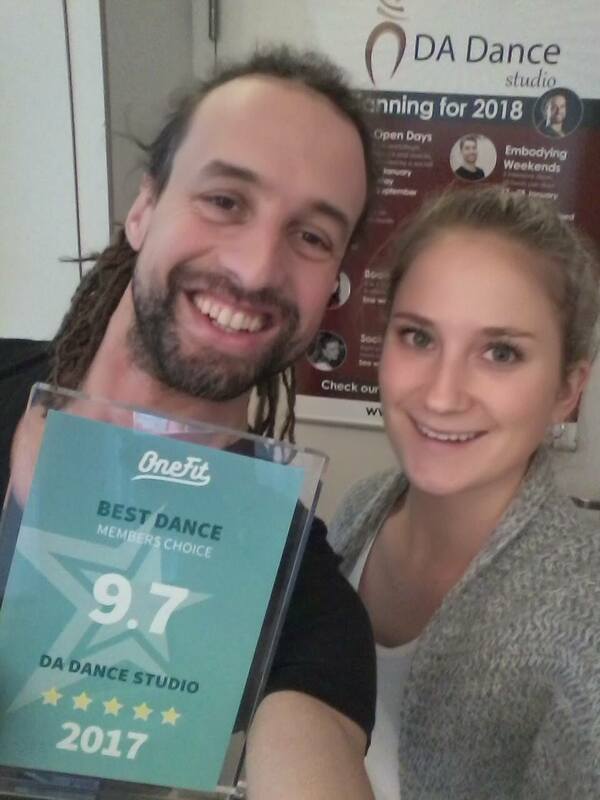 At January 20th you’ve received the Onefit award for “Best Dance School of Rotterdam 2017” on behalf of DA Dance Studio. Can you tell us a bit more about it? “It is always great if people say you are doing a good job, but this award is special to me because of a few reasons. Onefit is a national organisation that works with a lot of gyms and dance schools, so to be awarded “best dance school of Rotterdam 2017″ is great, there are a lot of other schools who are also doing a good job. With the members of Onefit I think we get a very honest response and review, if they like it they rate it as such. Our own members already love us (the feeling is mutual) but from visitors we need to earn that love, this award shows us we are doing well. Also, we focus on improving our facilities, methods and teachers always striving to be the best that we can be and every class needs to be top quality. But of course this is from our perspective, therefore it is so good to hear that people participating also feel this. Apart from striving to be the best we also focus on the atmosphere, for us it is part of a great class, to make people feel at home and to make sure everyone gets the attention they deserve.